Vera Bradley Free Jewelry Case Offer! 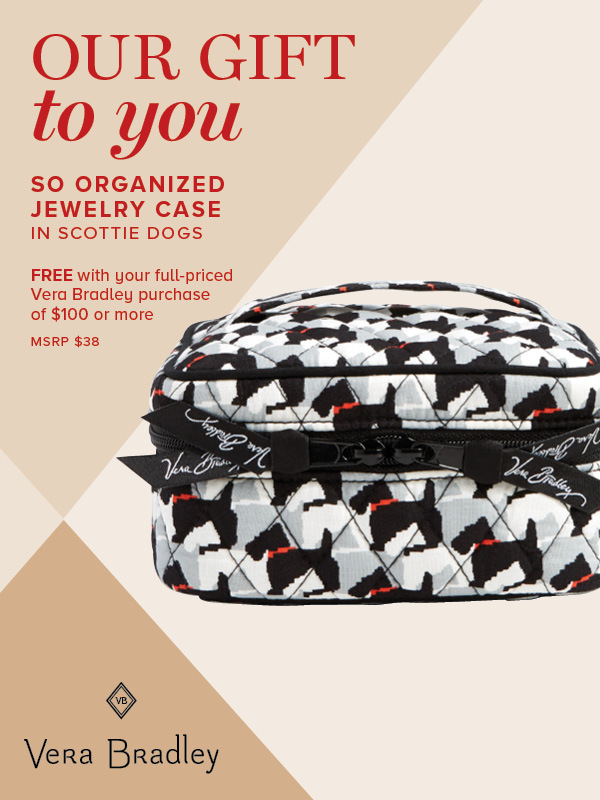 Receive a So Organized Jewelry Case in Scottie Dogs ($38 value) with your full priced Vera Bradley purchase of $100 or more from. Featuring three pouches and a ring roll, this case keeps your accessories nice and neat!